Update 11-19-2014: Storybird Studio (Q&A here) launches for educators today, as a “suite of easy-to-use creative, administrative, and social tools for writing, reading, and storytelling” adding to their already successful platform reaching over 300,000 global schools. Post forthcoming, if I can reach some teachers to interview and chat about the new features! Sounds fabulous. Exciting! No longer a fledgling, Storybird has spread its wings to help create over 10 million picture books over the last few short years, inspiring kids (and parents, educators, professional writers, authors like me) to expand and expound upon their narratives…I’m definitely going to need to deep dive this one to see how I can use this for my own media literacy efforts. p.s. One more related find…MIT Media Lab just pointed to their Affective Computing Group app/new site in beta called StoryScape. I’m checking that out too but obviously partial to the community Storybird has worked so hard to establish turning kids into “makers” with creative empowerment. The more the merrier…so many fun digital opportunities these days to see kids’ creativity transformed in front of their eyes, from music to storytelling. Wish they had that when I was scrawling on scraps threading stories together as a child…self-publishing for the win! What if new media focus shifted from horrific text-spelling and grammar errors to showcase the burgeoning bloggers, wordsmiths, artists, authors, and visual media creators’ new tools? I realize ‘user-generated content’ is still created by the minority and viewed by the majority, but Storybird is a classic example of how new media can engage kids via participatory learning and put more wiggly toes in the water to get feet wet sans intimidation. I’ve watched the new Storybird quick tour and screencasts multiple times already, exploring ways I can use it with kids for media literacy show-n-tell, because like my much beloved Animoto (where kids can create video film trailers with their own photos and text to convey a message) Storybird enables kids to jumpstart their creativity and crank out little books of their own, become little self-publishers in their single digit earliest years. Sweet! For years I’ve used the old ‘spaghetti story starters’ of shredded paper in a bowl with prompts to ignite creative thinking and loop cohesive themes together from seemingly unrelated subjects…Now, Storybird uses this ‘take turns’ approach to add to the story with a publishable, tangible ‘lookee what I did!’ approach to pride-n-joy kid-grinning glee. But like every other new media technology, I see this as a ‘make it work for YOU’ matter of choices, options, and cool creative platforms that can really make learning come alive for 21st century cherubs, whether at home or at school…as a game, as digital play, or as language/visual arts fun. Kids could opt for a wacky writing collaboration, in almost a ‘Mad Libs’ style format, or challenge each player to come up with a ‘rhyme’ threading the story together…They could create a meaningful cast of characters complete with diverse personalities and ‘voice’…Or take a once upon a time linear format…Or blend in backstory that draws in themes of all kinds. I’d think kids could use Storybird to chirp back and forth with fresh ideas to stay in touch with friends and family afar, or to custom create a special gift book for grandparents or even an e-story to welcome a new sibling into the house and work through some of those feelings. Digital media can be a collaborative bonding experience online when you CAN’T get face to face.. It’s an incredible conduit for intimacy-building in family fun mode…example? I still am amazed I spent FOUR hours online/on the speaker phone being debriefed by my goddaughter in L.A. on how to do good things within the virtual tween world of Elf Island and where and how to maximize deeds on our GoodQuest together. She was empowered being my personal guide to show me the ropes inside the world, introduce me to her ‘friends’ that were ‘nice’ and direct me in point-n-click tour guide style on our first trip there. Now it’s more like ‘meet me at the rainforest’ or ‘let’s go help the Hill Giant’ (to build a virtual camp that helps kids in Uganda with a REAL camp) etc. I could even see Storybird partnering with new sites like Dream Village to collaborate on ways to use picture books and poignant stories to seed philanthropy…Or maybe align within Elf Island ‘GoodQuests’ to bridge the concept of ‘making a difference in the world’ via online to offline collaborative stories…There are LOTS of inspiring possibilities here. Without over-thinking, I’ll just say, I’m diving in to Storybird and will send it out to a few folks to do some peer testing at different ages, because my hunch is that it’s ageless and timeless, and fun for all. My GenY nephew Ryan is visiting from London right now, and we speak in techie shorthand sometimes, so I was telling him about Storybird in sound bite style, “It’s kinda like Blurb for kids.” Blurb is a book publishing site where users can create their own hardbound, 4C keepsakes using easy templates that translate to elegantly designed ‘coffee table books’ for one offs and short runs. I view Storybird as an even easier ‘kids e-version’ with collaborative community tossed in to turn it into more of a living book or peer to peer game. No way…I’m eager to jump into the Storybird nest and put thoughts to paper as I put it through the paces…woohoo, count me IN! 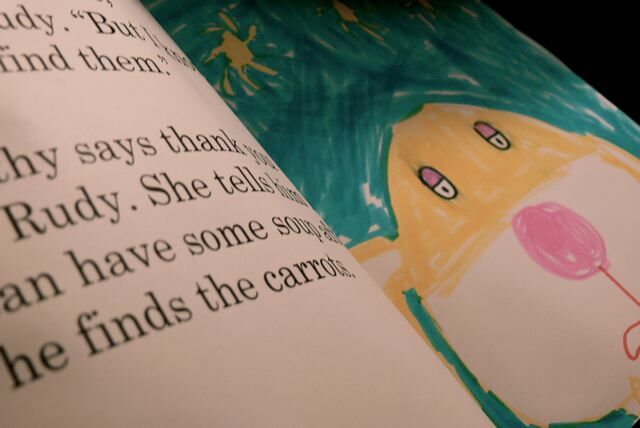 “Years ago my son and I wrote, illustrated, and hand-bound a book for my wife about a character she had invented and used for telling stories to our son. While the gift was special to her, what was special to us was making it: the collaboration, the tweaking, and the excitement of something so simple meaning so much. That event was the inspiration for Storybird, a new service that a group of us are about to release as version 0.1. We describe Storybird as “collaborative storytelling.” The premise is simple: you and I take turns playing with words and pictures and voila—we have a story that means something to both of us. It’s digital, so it’s easily shared; but it can also be printed and kept forever. Storybirds are hybrids. You can read them like books, watch them like television, send them like greeting cards, or play with them like games. Mostly, though, Storybirds are about connecting people through stories. For families—and I could extrapolate this to society—stories are the bedrock of communication. I’ll just say I can’t think of a better way to encourage literary exploration, artsy fun and new media skill sets to inspire a whole new flock of creative storytellers. I’m going to try it this weekend while Ryan’s here after we poop out from waterskiing/wakeboarding and need some down time. We’ve got a good age span here to test it out from various perspectives, so please let me know if YOU give it a whirl, as I’ll no doubt be doing a follow up story on this up and coming community and would love to put some ages and stages and samples into the mix. Check out her lil’ book here! Awesome! 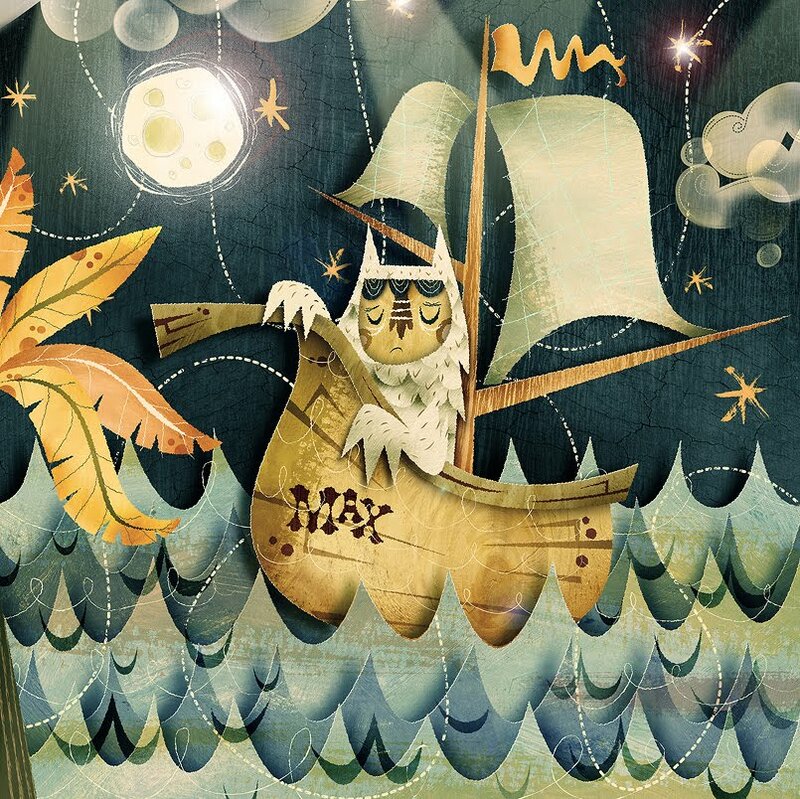 .-= Amy Jussel´s last blog ..Storybird Kids Online Book Community Hatches Creative Fledglings =-. Amy, I’ve been meaning to drop by and say thanks for the post. Even before we started building Storybird you were one of the folks we watched; your news, views, and opinions have always been of interest to us. Personally, I was also happy that you picked up on the teaching and therapeutic aspects of Storybird. Turning ideas, narrative, words, and images into a game-like experience has made the service immediately attractive to teachers, and we’ve noticed lots of SBs getting made that deal with working out deeply personal issues (many of which are, rightfully, staying private). This gummy mix of publishing, gaming, and narrative is producing some unique results that we find fascinating and, at times, utterly beautiful. “College” is a great example of this. Written by a freshman exploring her feelings about not fitting in, the final output is both personal and universal. As a book, it would have never been published (it’s only a few pages and uses simple b&w sketches). And yet I could see this as some kind of greetings/book hybrid, send-able to every kid who’s just left the roost and frightened about the world around them. It’s been a surprising first week and will only get more interesting as artists, families, teachers, and everyday members experiment and redefine short, visual narratives. Thanks again. Look forward to giving you a progress report in a few months. Thanks so much for taking the time, Mark! Just saw the college one, cute! Your comment was classic, “I don’t know if you’re doing college right, but you’re doing Storybird right!” heh. Eager to give it a whirl myself, but my nephew Ryan in from London has been here all wkend so we maximized our water/wakeboard time…He’s a techie out there though, who keeps his finger on the pulse, and loved the Storybird concept, so I’m sure it’ll get some use with ALL ages! You rock. Your project rocks. And I look forward to diving in whenever I can come up for air! Thumbs up all around here, and btw, have you seen the Story Something.com app for custom kids content to read personalized stories on smartphones? Yes, we know the cofounder and actually traded notes on our respective approaches way back. Really happy to see more options for storytelling and families, and particularly happy to see them get some PR out of the TechCrunch50. Oi, how true. We spend far too much time with glowy things in general and consuming thing specifically. I’m a big fan of Waldorf thinking by a) limiting technology and b) focusing on creation vs consumption in formative years (which I think goes well into the late teens). We need to stop cramming so much into ourselves and instead listen to what’s aching to come out, whether that takes shape in play, daydreaming, or just being still. Gosh, Mark…poetically stated too! If you ever want to ‘guest blog’ give me a shout…You’re a man of many talents!